In the Rite of Baptism, we become new members of the Body of Christ, but our journey does not end there. The decision to be baptized is followed by continued growth, learning, and witness as members of the Body of Christ. Our desire to continue to grow and develop as Christians finds expression in Confirmation, when we renew our baptismal promises and receive in a new way the gift of the Holy Spirit, which strengthens our “bond” with the Church and its members (CCC, no. 1316, and Pope John Paul II, Redemptoris Missio [ On the Permanent Validity of the Church’s Missionary Mandate ], no. 26). ​In the Gospels, the same Spirit that descended on Jesus during Baptism descends on the Apostles at Pentecost (CCC, nos. 1285- 1287). The readings and homily we hear at Confirmation remind us that this same Spirit is present to us today. At Confirmation, we receive diverse spiritual gifts that work together for the “common good” and “the building up of the Church, to the well-being of humanity and to the needs of the world” (Pope John Paul II, Christifideles Laici [ The Vocation and the Mission of the Lay Faithful in the Church and in the World ], no. 24). At Confirmation, we pray for an increase of the gifts of the Spirit in our own lives in order to serve the cause of justice and peace in Church and world. In preparation for the Sacrament of Confirmation, we often perform many hours of service to help those in need. In doing so, we practice love and service in imitation of the saints whose names we often take at Confirmation. Anointed at Confirmation, we are further strengthened to live lives that give off “the aroma of Christ” as did the holy saints (CCC, no. 1294). The sacred Chrism is mixed with fragrant spices precisely to symbolize this “aroma.” The Holy Spirit pours love into our hearts so that we can become “instruments of grace” in order to “pour forth God’s charity and to weave networks of charity” in the world (Pope Benedict XVI, Caritas in Veritate [ Charity in Truth ], no. 5). The Holy Spirit “harmonizes” our hearts with Christ’s heart and moves us to love others as Christ loved when he washed the disciples’ feet and gave his life for us (Pope Benedict XVI, Deus Caritas Est [ God Is Love ], no. 19). Sealing with the gift of the Spirit at Confirmation strengthens us for ongoing service in the Body of Christ in the Church and in the world. It prepares us to be active participants in the Church’s mission and to “bear witness to the Christian faith in words accompanied by deeds” (CCC, no. 1316). Finally, the Spirit sends us as workers in the vineyard and instruments of the Holy Spirit in renewing the earth and promoting God’s Kingdom of justice and peace. 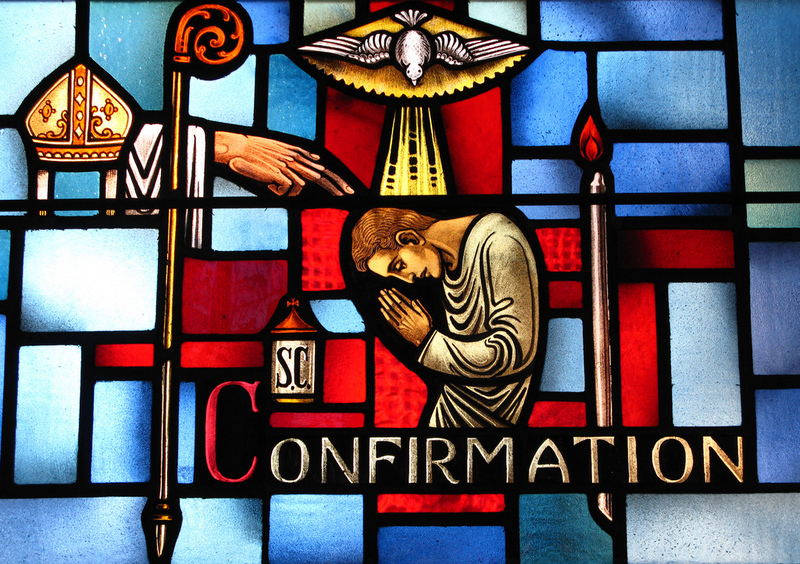 Thus, Confirmation is not only an anointing , but also a commissioning to live out our faith in the world . We are already called to mission by virtue of our Baptism, but at Confirmation we are endowed with gifts of the Spirit (like the Apostles in Acts 2) to be “ever greater witness[es] to the Gospel in the world” (Pope Benedict XVI, Sacramentum Caritatis [ Sacrament of Charity ], no. 17). As disciples and witnesses to Christ in both Church and world (CCC, no. 1319), we are sent out to act on behalf of the poor and vulnerable, promoting the life and dignity of every human person.